Will Working Longer Help Or Hinder Your Social Security Benefit? 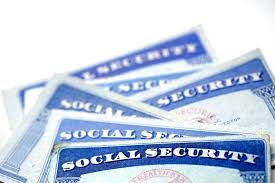 Continued earnings could increase your Social Security benefit depending on your situation. One thing is for sure: working part-time at reduced pay will never cause your benefit to go down. A common question among people in their 60s is this: If I keep working, will my Social Security benefit go up? An even more common question is this: If I take a part-time job at a lower salary, will it cause my Social Security benefit to go down? To answer these questions, you need to have a basic understanding of how benefits are calculated. First, your benefit is based on your highest 35 years of earnings. When your primary insurance amount (PIA) is calculated at age 62, the Social Security Administration (SSA) tallies up all of your earnings as reported by your employers over the years (or as reported on your tax return if you are self-employed). Each year’s earnings are multiplied by an indexing factor to adjust for inflation. For example, annual earnings of $25,000 in 1980 might count for $90,000 after indexing. The highest 35 years of inflation-adjusted earnings are totaled and divided by 420 to come up with the average indexed monthly earnings, or AIME. The AIME is then multiplied by three different percentages (called "bend points") to determine the primary insurance amount. These bend points are adjusted for inflation and are different for each age cohort. 1. You already have 35 years of earnings. If you already have at least 35 years of earnings, an additional year of earnings will go onto your earnings record as usual. If the additional earnings are higher than the lowest year of earnings, the lower year will drop off and your AIME will be adjusted to account for the new year of higher earnings. If the additional earnings are lower than any of the 35 years of earnings already on your record – say you take a part-time job and earn less than you were making before – it will have no effect on your Social Security benefit because those lower earnings will simply not be counted. 2 2. You do not have 35 years of earnings. Let’s say you got a late start in your career or took time out of the work force to raise children. When your earnings record is tallied up, there may be fewer than 35 years of earnings. In this case, the missing years will be filled in with zeroes. The total will still be divided by 420 (the number of months in 35 years), and this will cause your AIME to be lower than if you had 35 years of positive earnings. So for you, working longer can replace some of those zeroes and improve your Social Security benefit. How much are we talking about really? Let’s face it. Any additional wages you might earn immediately before or after retirement would be valued mostly for the earnings themselves: The additional income will allow you to draw less from your retirement accounts, and if you don’t need it all for spending you may even be able to create a bigger cushion for yourself. But Social Security adds up, especially if you maximize Social Security’s lifetime, inflation-adjusted income by living a long life. Even people who already have 35 years of high earnings might see some benefit. Here’s why: those early earnings, even though they are inflation-adjusted for the AIME, still count for less than you may be earning today. Replacing a year of lower earnings might cause your PIA to go up by only about $15 per month. But when you add in delayed credits for applying after full retirement age, and cost-of-living adjustments over your (and your surviving spouse’s) lifetime, it adds up. The point is that even if you have a history of maximum earnings for Social Security purposes, working longer will never cause your benefit to go down, and it may even cause it to go up. And if you have a few zeroes on your earnings record, you can only improve your Social Security benefit by continuing to work. Elaine Floyd, CFP®, is Director of Retirement and Life Planning for Horsesmouth, LLC, where she focuses on helping people understand the practical and technical aspects of retirement income planning.